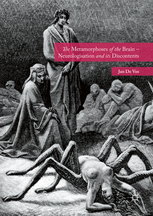 "... De Vos’ reminder of the historical and philosophical roots of psychologization is particularly refreshing in a time when discussions about psychology and society have become somewhat lazy and binarised. He uses everyday examples and the taken for granted assumptions of psychology and society, for example, “giving psychology away” to weave intricate arguments about psychologization and modernity." (...) What I have come to appreciate (...), is how De Vos raises questions, provides arguments and suggests the necessary cautions to ensure that we do not fall into the same traps that our arguments aim to critique. (...) I highly recommend the book for those interested in psychology, psychologization and society. It certainly ranks high up in my recommended readings in critical psychology. Download here the full review.